Germany’s Ambassador to Israel and British Minister of State for the Middle East express support for Israel's efforts against Hezbollah. Germany on Wednesday condemned the Hezbollah terrorist organization for digging tunnels that infiltrated into Israeli territory. “The German Government strongly condemns the aggressive behavior of Hezbollah, as manifested in the tunnel system built in violation of Israel's territorial integrity,” said Germany’s Ambassador to Israel, Susanne Wasum-Rainer, in a post on Twitter. Britain’s Minister of State for the Middle East also expressed support for Israel’s efforts against Hezbollah. “UK condemns Hizballah [sic] tunnels into northern Israel. This is a blatant disregard of UN resolutions, threatening Israel and Lebanon’s stability. UNSCR 1701 must be implemented. UK supports Israel’s right to defend itself,” he tweeted. 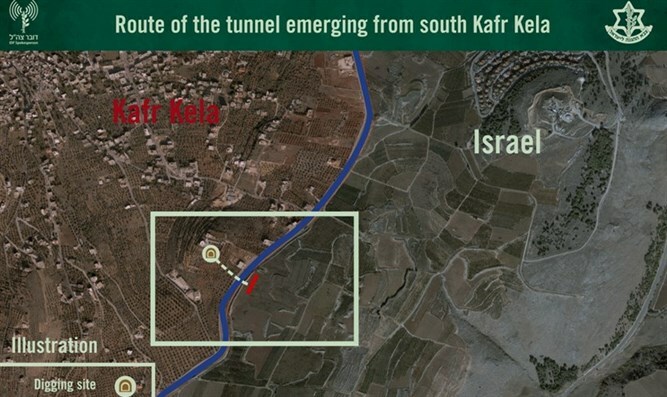 The Israeli operation has received backing from the US, which condemned Hezbollah’s attempts to dig tunnels leading into Israel. On Wednesday, the Russian government endorsed Israeli efforts to seek out and destroy tunnels constructed by Hezbollah, but also urged the Jewish state not to take military action inside of Lebanon.